Janelle In Real Life: mixed patterns and some giveaway winners! mixed patterns and some giveaway winners! Happy Monday!! I have another etsy shop to share with you all, and it's one of my absolute favorites! 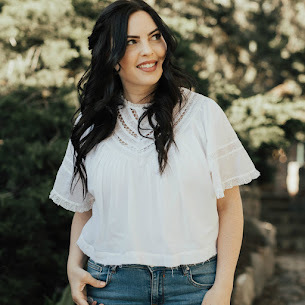 I started following Dawnelle's blog way back when and she quickly became one of my favorites. She is so genuine in her writing and her personal style posts! I learned that she also had an etsy shop where she sold cute scarves and floral crowns(!) and basically I was sold. Dawnelle makes her scarves with mexican serape material on one side and a color-complimentary fabric on the other. She has serious talent for putting to unexpected fabrics together and making them look so fab! Pattern mixing at its best, my friends. And I loooove this gold serape with the golden floral print. It's so unique and beautiful! And can we talk about how the snow behind me is slowly starting to melt away? Because that sun can just keep on shining alllllll the way till summer. Have a super day... even though it's Monday and Monday's are hard. You look cute and cozy, Congrats to the winners. Lovely, colorful scarf! Thanks for sharing your cozy look with Visible Monday. Love the scarf and the boots! Such a cute outfit. This is such a cute look! I really love this scarf and the combination of prints! Thanks so much for linking up with Mix it Monday! That scarf is lovely!! I can see why you were sold. Boo for snow melting, I love me so snow. Sadly it's done nothing but rain here in England. We tend to get a random snow fall at the end of March or something, then 2 weeks later it will be super hot. 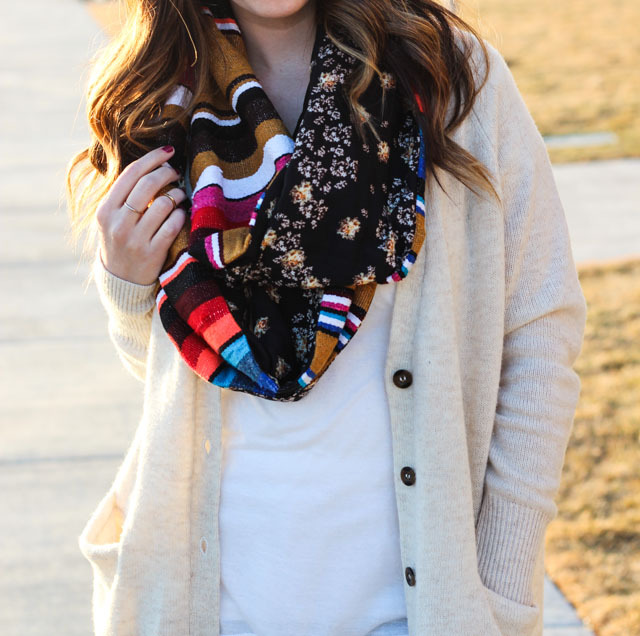 Such a grat casual look, this scarf is gorgeous! Thanks for linking up with Mix it Mondays! Love the scarf and booties! Those booties are to die for! Love the fringe! Thanks for linking up with Stylish Tuesday!